Easter is nearly here, which means we are all one step closer to a 4-day weekend of enjoying gin. If you’re still yet to buy any of your presents for your friends or relatives, don’t panic! 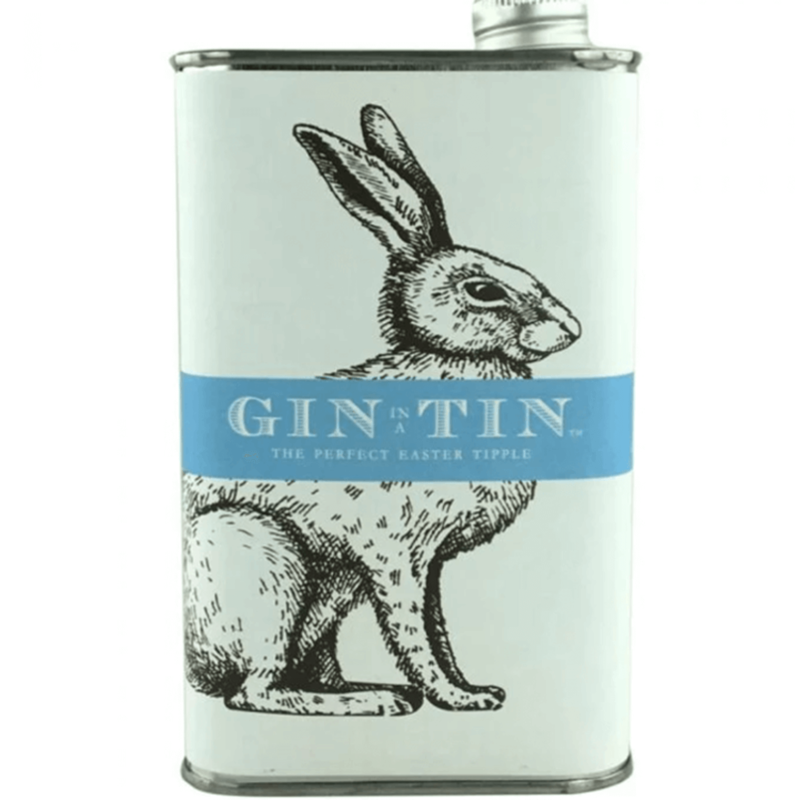 We have compiled a list of some of the best gin-related Easter presents. Our Think Gin Club members already have an advantage as they can give the gift of gin this Easter. Our range of Gin Gifts includes a single box, 3 boxes, 6 boxes, 12 boxes, a gift for all occasions, gift for her, gin hamper and a celebration gin hamper. At Think Gin Club, we work hard every month to source new and award-winning gins to tickle our member’s tastebuds. If you would like to join our exclusive club, then get in contact today to discuss membership. Members of our artisan gin club also get the opportunity to buy gin that cannot be purchased in the supermarket. Our online shop has a range of gins we’ve featured as gin of the month, as well as a few others we love. Two of the best things in life, Chocolate and Gin, have been brought together by the clever bods at Hotel Chocolat. 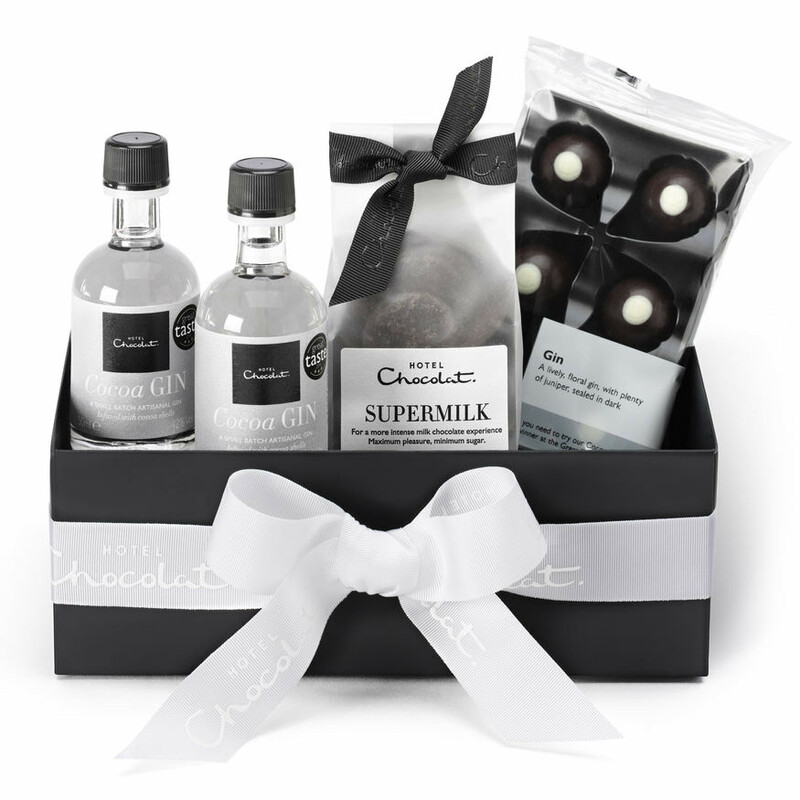 The Chocolate & Gin Gift Collection includes two bottles of the chocolatier’s Cocoa Gin, as well as GIn Truffles and some Supermilk Chocolate Paddles. For just £20, this is the ideal gift for any chocolate and gin lover (warning though, you’ll have to wait behind us to enjoy this gift). 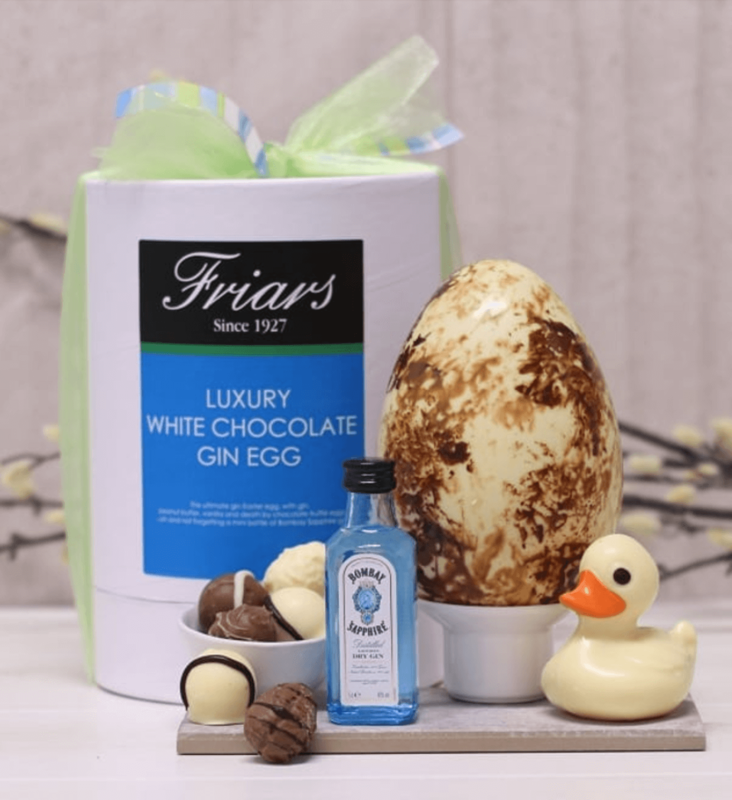 Friars have pulled out all the stops with this eggcellent Luxury White Chocolate Gin Easter Egg. Included within this delightful treat is a small bottle of Bombay Sapphire Gin, a hollow white chocolate egg, Gin infused chocolate truffles, x1 chocolate peanut butter truffle egg, x1 white chocolate vanilla truffle egg, x1 Milk Death by Chocolate truffle Egg and a white chocolate duck. This gift is yours for £24.99. From Red H, Gin In A Tin is set in the quintessentially English countryside of the Cotswolds. The collection of gins of distinction speak volumes in their stylish tins. Using classic dry botanicals, The Perfect Easter Tipple for 2019 is a no-nonsense gin, perfect for a Dry Martini or G&T. A smooth crisp gin with juniper at the forefront, citrus notes of lemon and orange are finished with subtle notes of cardamom. Available online for £35. 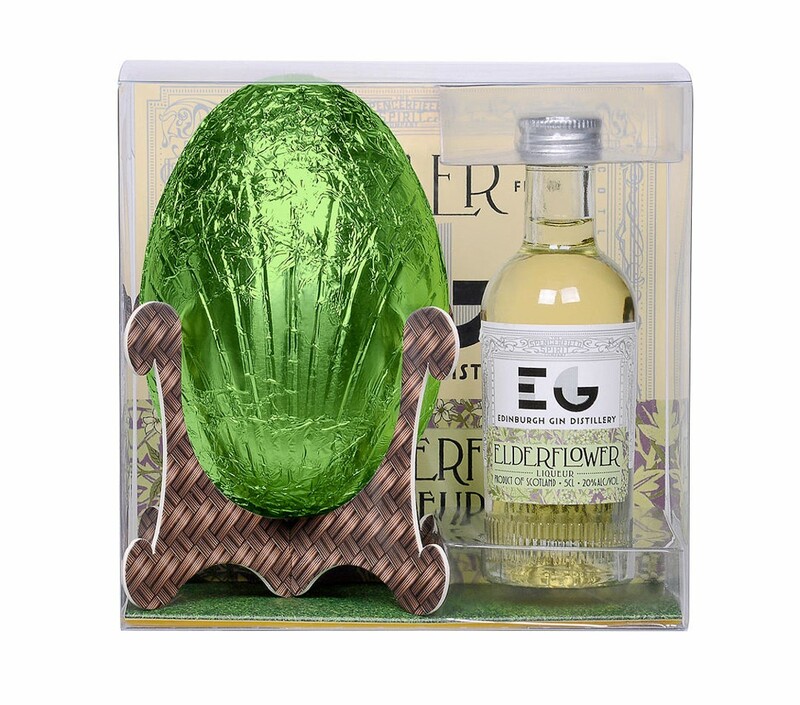 Mixing again two of the best things in the world, John Lewis is onto a successful product with their Edinburgh Gin Elderflower Liqeuer and Easter Egg. If you’re not an elderflower fan, the company is offering a variety of other liqueur flavours, such as Rhubarb & Ginger! Available for £14. Not On The High Street are teasing us with this edible delight! 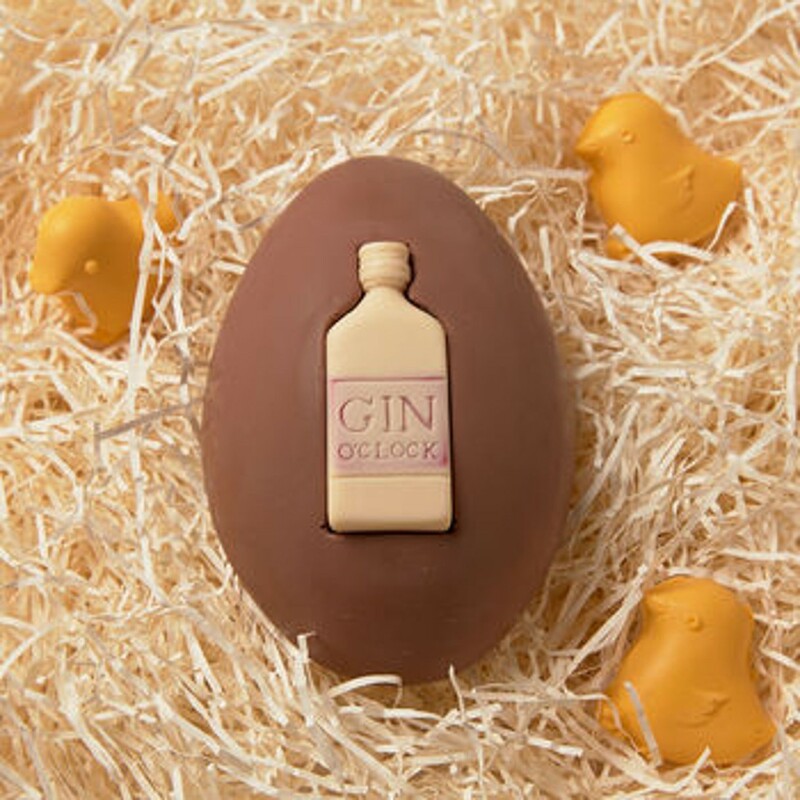 The Chocolate Gin O’clock Easter Egg comes with a smooth Belgian milk chocolate egg complete with a removable chocolate gin bottle! Available now for £15. 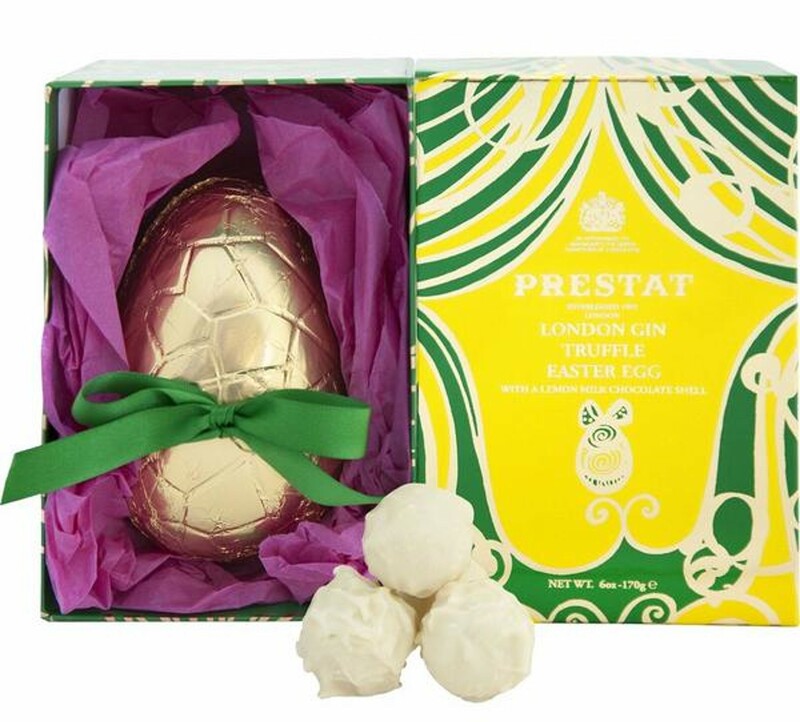 Liberty London has released a delightful Easter Egg from Prestat. The Gin And Tonic Easter Egg includes a milk chocolate egg crafted from 36% cocoa and filled with London Gin truffles. Each one is centred with a dark chocolate ganache, infused with juniper and gin and coated in a white chocolate shell, with a topping of popping candy. Available now for £17.95. This is something that Think Gin members are sure to enjoy! 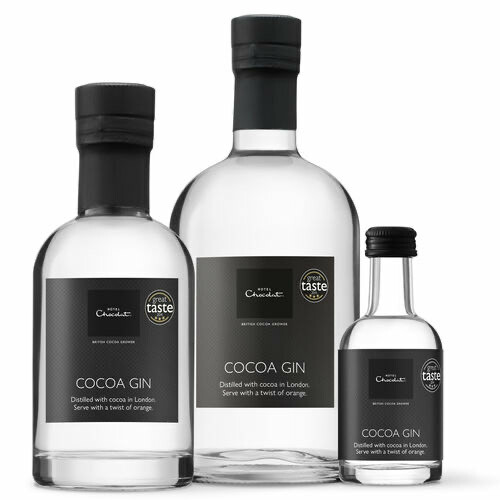 Hotel Chocolat’s Cocoa Gin includes Cacao for a malty, toasted edge, Juniper and coriander for high notes, and orange and grapefruit peel for a zesty zing. This gin is available for £25. If looking through these cocktail recipes has left you feeling thirsty for good-quality gin, then don’t hesitate to join the UK’s most exciting gin club. Every month our team of experts hand-pick the best artisan gin, allowing our members to sample a product that is not found on the supermarket shelf and pairing it with mixers and treats to create our Gin of the Month box. Every box includes a complimentary gift, recipe card and a mixology tool not given out by any other gin club. You can choose to receive your boxes monthly, bi-monthly and quarterly at a cost of £40 per box. If you join today, you will receive £10 off your first box if you use the code APR10 and it will come with a free cocktail shaker worth £20. Finally, by becoming a member, you can buy a gin that isn’t available in the supermarket at our online shop. You can click here to join our club or visit our contact page where you can fill in your details or find our email address.